Handmade and crafted to order. 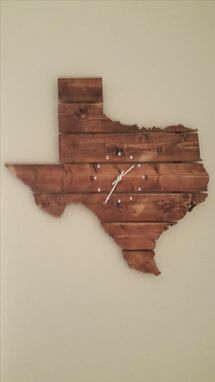 This Texas State Map Wall Art with clock is made using white wood and stained a dark walnut. 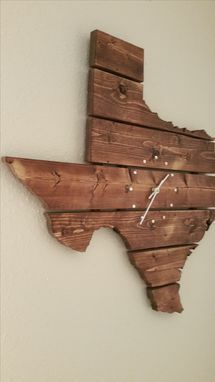 It comes assembled and ready to hang on your wall. 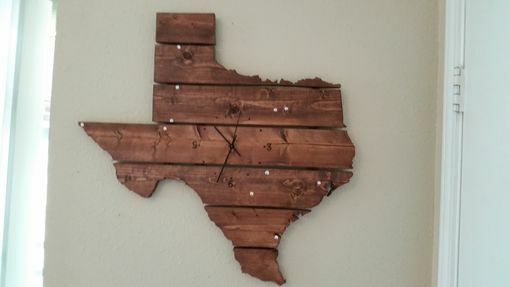 Looks great and will be a great conversation starter. I can handmake any state or country wall art and add a clock for even more appeal.